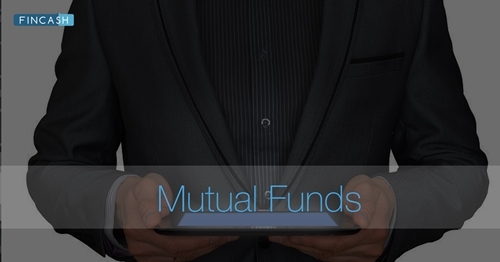 There are a lot of terms or phrases involved in Mutual Funds investments. As a common investor, not all terms are familiar and easy to understand. Thus, to deal with this problem here is the list of the most common terms in Mutual Fund Investing with its meaning. It is a well-crafted and systematic approach to This involves a recurring review of the portfolio. The objective of such style is to top the market. This Investing style argues that active portfolio management can create a scope of making profits, even at a time when the markets are not efficient. Alpha is a scale to measure the performance of the fund manager. Positive Alpha means the fund manager is generating more returns than what is expected. Negative Alpha indicates the underperformance of the fund manager. Annualized return is the amount of return Mutual Funds can generate or have generated within one year. It is a widely used to measure the overall performance of the fund. A company which manages the assets with the mutual fund, create and monitors Mutual Funds, and takes care of the investment related decisions of Mutual Funds. The company has to be registered with SEBI (Securities and Exchange Board of India). SBI Funds Management Private Limited, UTI Asset Management Company Ltd, DSP BlackRock Investment Managers Private Limited, etc. are some of the AMCs in India. AUM is the total value of the assets of an investment company in the market. The definition of AUM varies by the company. Some consider Mutual Funds, cash, and bank deposits while others limit themselves to fund under management. Mutual Funds that invests in equity, money market instruments and equity is called Balanced Fund. This fund offers capital appreciation and regular income. Beta is a scale to measure the volatility of a security compared to the market. Beta is used in Capital Asset Pricing Model (CAPM). CAPM calculates the expected return of an asset based on its beta along with predicted market returns. It is a rise in the value of the capital asset(investment) which gives better worth than the purchase price. A Capital Gain may be long-term or short -term. In close-ended Mutual Funds, the money of an investor is locked in for a specified amount of time. The fund units are available only during the New Fund Offer (NFO) period. After the period, the units of the fund can be bought from the market. There is always a risk involved that the issued fixed income may not make a timely payment of interest and repay the principal amount. Such risk is called default risk or credit risk. An entity that is authorized to involve in dematerializing of shares and monitoring demat accounts of the investors. A dividend is a portion of a company’s earning distributed to its shareholders. The portion is decided by the board of directors of the company and can be in a form of cash payment, shares or some other property. A distributor is an individual or a corporation which is authorized to buy Mutual Funds directly from the parent company and re-sell those Mutual Funds to retail or institutional investors. Diversification is a risk management approach which involves investing money across various avenues instead of funneling it all in one channel. Diversification helps a lot in reducing the overall risk. A portfolio that guarantees a maximum return for a specified level of risk or guarantees a minimum level of risk for an expected return value. The amount charged to an investor while purchasing Mutual Funds as a part of administrative fees or for a commission to brokers. Mutual Funds that mainly invest in equity and its related instruments with an aim to provide capital appreciation. A redemption amount charged on an investor when they withdraw their money from the Mutual Funds. The ratio of total expenses to the net assets of the fund is called expense ratio. An ETF is a marketable security that monitors an index, bonds, commodities, or a group of assets like an index. A security which pays a fixed interest to an investor at regular interval of time. The time interval can range from a month to a year. Mutual Funds are subject to risk(s). It thus becomes difficult for an investor to choose. There are certain institutes like CRISIL, ICRA which provide credit ratings to a fund scheme. These ratings help investors to choose Mutual Funds and give them the idea of the security of the fund scheme. Mutual Funds that primarily deal with government securities and treasury bills. The fund offers a regular income to the investors. Investing in fixed income securities like debentures, high dividend shares, bonds etc. Index fund has the same composition of assets as that of its benchmark at any given point of time. Debt security prices are subject to interest rate variation. An increase in the interest rate leads to decrease in the value of the bond. Interest rate risk influences the NAV of the fund. It is the risk that occurs due to lack of marketability of an investment. The investment cannot be sold or bought without a loss. Net asset value is the price of a unit share of Mutual Funds on a given date and time. An open-ended fund is a type of Mutual Funds which does not have any kind of limitations on the number of shares the Mutual Fund can offer. It is a type of investment strategy which involves the fund managers attempt to beat the market with multiple investment tactics. In this, the Mutual Funds' portfolio replicates the market index. It is a cut-off date for collecting corporate Benefits of Mutual Funds like rights, bonus, dividends, etc. This date is announced by the mutual fund. Only the registered investors on the date are eligible for claiming the benefits. It is the risk that arises due to change of interest rate. As a result of this, the interest received on the investment cannot be reinvested in higher interest bearing schemes. It is an investment approach which involves investing fixed amount of money at regular intervals. This helps in buying more shares of a scheme when the prices are up and less when they are down. Systemic risk is the possibility of an event that can lead to the downfall of the entire financial system or market. A risk that is constitutional to the market's day to day fluctuation. It is also called as an undiversified risk which is unpredictable and is almost impossible to avoid completely. A fund that only invests in business which operates in a specific sector or industry of the economy. These funds lack diversification as the holdings of the fund are in the same sector. It is an investment approach where an investor makes regular and equal payments in a mutual fund scheme, retirement account or a trading account. The investor benefits from the long-term profits of rupee-cost averaging. It is a systematic way for an investor to withdraw a pre-specified amount of money from the invested Mutual Funds. It helps the investor to have a regular cash inflow. Switching involves moving from one scheme to another in a bunch of schemes of the same Mutual Funds. A company or an entity which contributes the initial capital for an asset management company is known as the sponsor of the AMC. Dividends or returns from such funds can be exempted from Income Tax as per the Income Tax Act. A firm which keeps track of the records of the unit-holders of the AMC. The bills of exchange which have a short-term maturity. Such bills are issued by the Reserve Bank of India. The securities are guaranteed by the Government of India and thus have low risks and fewer returns as well. It is an investment style which attempts to pick up undervalued stocks in the market. It is a debt bond which does not have any coupon or interest attached to it. It is sold at a big discount on the Face Value and offers capital appreciation at the time of withdrawal. ☆☆☆☆☆ Rated 4.6, based on 36 reviews.